Homepage / sony / TECH NEWS Sony Xperia XZ3 Will Have Four Cameras? It took a long time for Sony to pursue its competitors who had earlier adopted dual-camera support on the smartphone it developed. 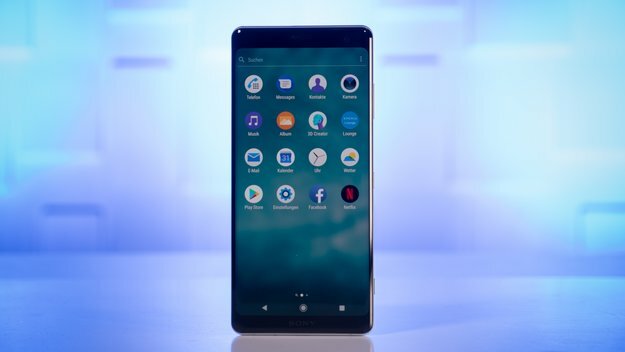 New Sony can adopt the technology on the newest device that has recently launched, Sony Xperia XZ2 Premium. It sounds weird. In fact, not a few smartphone manufacturers who plug a Sony-made lens into the device he developed. Of course, Sony should be superior in this technology. Moreover, the development of dual-camera in one device. Not to be said left behind, Japanese electronics giant is also making a buzz. It is estimated, on the next generation of premium smartphone, the Xperia XZ3, Sony will immerse four cameras at once. Two on the back and two in front again. Of course, if this step is really done by Sony, will remind us of the successor spelled Honor spawned a smartphone with four cameras, one of them Honor 9 Lite. But unfortunately, Xperia XZ3 hardware specifications are still difficult to uncover. Likewise with the ability of each camera sensor is immersed even though there are leaked photos that appear on the internet. But not a few who suspect, dual-camera support rear that will stick to Xperia XZ3 not much different from that of Xperia XZ2 Premium. Of course, there is no guarantee of leaked photos showing the camera module really have Xperia XZ3. Therefore, we will continue to wait for further leaks from Sony’s premium smartphone that gossip will slide before the end of this year.